You don’t seem to take much notice of these items until they’re missing. But how many shirts and coats sit for months in dark closets because of a lost button? Although they’re indispensable, buttons probably don’t seem like the most exciting part of a garment. Yet there was a time when they were precious accessories and symbols of social status. 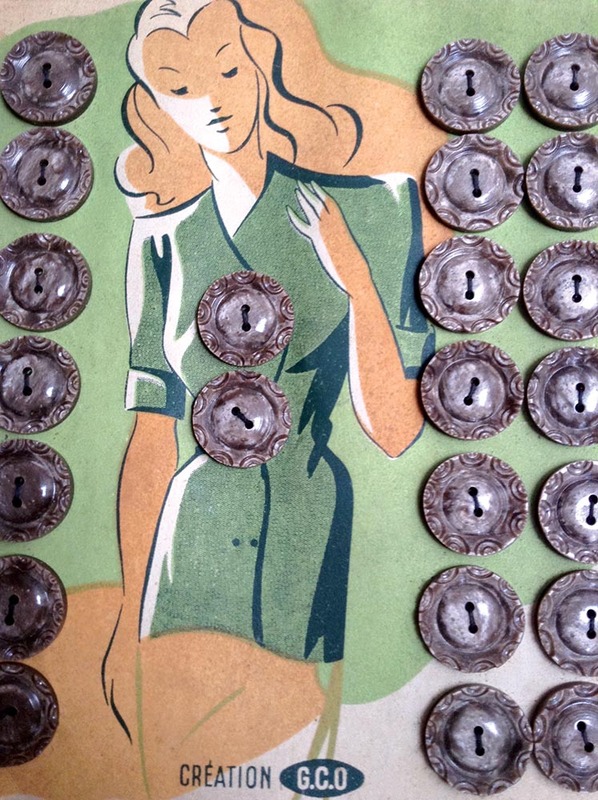 Buttons only became affordable with the advent of the Industrial Revolution, when mass production gave birth to the iconic four-hole model. But during the Middle Ages, they were made with gold and remained the privilege of the wealthy; numerous buttons on a jacket meant plenty of money in the pockets. Buttons reached the peak of popularity during the 18th century, when King Louis XIV of France made them most fashionable. He (and, subsequently, all the courtiers) donned jewel-like buttons made with a variety of precious stones, or adorned with highly sophisticated miniature paintings – these buttons often cost more than the whole outfit. Hovering at the junction of art and design, did you know that artists such as Alberto Giacometti, Fernand Léger, Sonia Delaunay and Pablo Picasso created buttons? Between the two World Wars, renowned Italian fashion designer Elsa Schiaparelli made innovative and arty buttons her trademark. “She worked with Lucien Weingott, a peculiar artist who created buttons in his kitchen with all kinds of natural materials: seeds, nut shells, resins,” explains Renaud. It’s unfortunate that today’s fashion landscape gives less importance to buttons – all the more so as they’re a reliable indicator of a garment’s quality. But the good news is you can change the buttons of your clothes to make them your own and give them a second life. To choose the right ones, remember that they must subtly enhance your look without grabbing all the attention. “One must first notice how stylish your jacket is, not how amazing your buttons are,” says Renaud. Keep the biggest ones for your coats – trimmed ones are very elegant on fur – and pick some tiny glass ones to accessorise your silk shirts. Why not fasten a large cape with a single stylish button, à la Schiaparelli? But definitely use a solid sewing thread – or you may lose your precious treasures! Some people say sustainable fashion can only comes when we change the business model – when profit doesn’t drive everything. We want to change the model. We’re a big business, but we want to move into circularity, and the vision is to lead that change towards circular and renewable fashion. Yes, we think that’s kind of a ballsy vision – as it should be. We know people will always love fashion; I love fashion. But we want to know that what we consume is good. Moving into circularity is because we know resources are scarce and we can’t go on using things in the same way we have for the last 30 years. Circularity is both our mantra and our vision, so we can continue to make new fashion out of the old. And we do have some tough goals – by 2030, all the fabrics we create will be from sustainable sources. How tough is that to achieve? It’s quite tough, because we don’t have those fabrics yet today. We have organic cotton and we have recycled polyester, but there’s only so much you can do with these fabrics. For a smaller range, we have our Conscious Exclusive collection, which is limited. In that, we try out new sustainable fabrics, which hopefully can be scaled up and applied to more of our collections, but there are challenges. Well, there are new fabrics on the market, like grape leather, for example, but the quantity is just so small. So the crucial part is scaling up for us. But we also invest in a lot of different companies and work with scientists. Here, we work with the Hong Kong Research Institute for Textiles and Apparel (HKRITA). The non-profit H&M Foundation did a collaboration with HKRITA; together we have – or they have – come up with a groundbreaking innovation, which is how to recycle blended fabrics. Recycling up to now has been mechanically made, where materials are ripped apart into separate ones. But with this innovation, we can recycle blended materials without any quality loss. For us, that’s really exciting, and also scalable on a larger and more practical level. This applies to all fashion businesses, not just H&M. That will be interesting to watch. The CEO of HKRITA, Edwin Keh, is someone you should talk to – he’s scientific and also really candid about the challenges. Do you think people’s clothing labels will one day proclaim: “Made in such and such a laboratory”? Maybe! We want to be as transparent as possible – to say this product is grown from this, or to identify a waste product that has been used. Like grape leather, for example – the leftovers from the wine industry. So now we all have to start drinking more wine! There’s something called orange fibre from the citrus peel, which could become something new. On the topic of scale, you mentioned grape debris. How much of that is needed to make one bag? It’s very hard to say with grape debris. The only thing I know is that we do Conscious Exclusives once per year. Last year [in April] we had a dress made from bionic yarn, which comes from plastic waste gathered from the shorelines of China. I can tell you that 89 plastic bottles went into that one dress. And it was really beautiful, too. It’s a good concrete example of this whole process. What challenges are there that you feel consumers don’t understand about the sustainability debate? For us, it’s still a question of making fashion that people want to wear. We have to be able to merge the two worlds even better – to make sustainability fashionable and fashion sustainable. That’s the challenge and that’s what Conscious Exclusive is about. We can make really beautiful clothes today using sustainable fabrics and make it all fashionable, because making sustainable clothes just for the sake of sustainability, without making them fashionable, makes no sense. That’s also not sustainable. How much thought is given to how recyclable a collection is at the end of its life cycle? To be honest, not enough – we’re not there yet. Again, it’s the marriage of sustainability and fashion. Everybody working at H&M, every designer, knows that we get opportunities and they know our values; they know the fabrics they can choose from. But I wish we could do more – and we have to, especially with 2030 in mind. Though now, with recycling and scientific breakthroughs like recycling-blended fabrics, it has become a bit easier. What happens to fast fashion when sustainability catches up? You know, we don’t like this term,“fast fashion”. But I met a professor in England who was thinking of extending the idea further in this way – what if we want to buy a top for going out on Saturday night; could we make it disposable? For example, after you wear it, it disappears, breaks down into cells or fibres, and can be recycled in a new way. You enjoy the party top, then it fades. That changes people’s reaction to “fast fashion” – from something intrinsically bad to something very progressive. We all love new things, we want new things, and this is a way to find novelty and turn that into something positive. We want to do good. That’s also why we want to be on top of change and lead. Dutch designer Iris Van Herpen talks about not even wearing clothes in the conventional sense. She’s right! And think about this: maybe you can just scan the image of what you want to wear onto yourself. So you would have, say, a body stocking, and you just scan a picture of that perfect print or the hue you want to wear, or something like that. It’s a sort of virtual reality. Born and raised in the 1960s in Beijing, Guo Pei is the most renowned Chinese designer in haute couture. 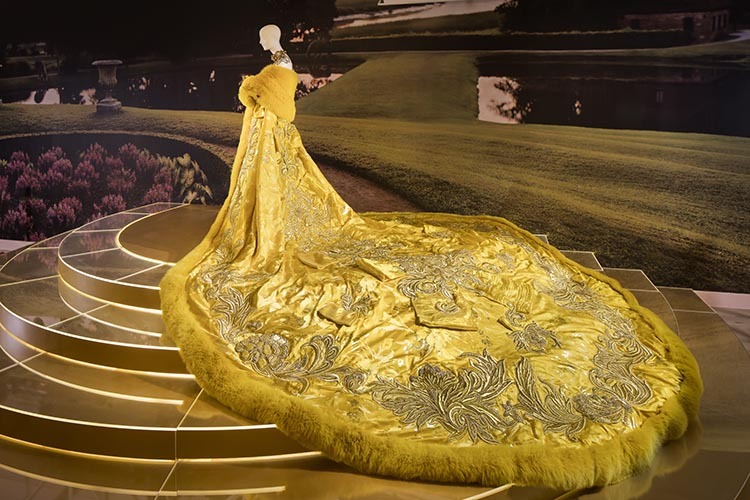 In 2015, when Rihanna wore Guo’s imperial yellow cape gown to the annual Met Gala in New York (the theme that year was “China: Through the Looking Glass”), the designer’s name and fame went truly international – but she didn’t know who Rihanna was when the pop singer approached her for a dress. The voluminous gown, dubbed the “dragon robe” on Chinese social media, is now on display at the designer’s solo exhibition Guo Pei: Couture Beyond, being held until March 4 at SCAD FASH Museum of Fashion + Film in Atlanta. The dress – featuring a 16-foot train and weighing 25kg – epitomises Guo’s laborious production methods. Also known as “magnificent gold” (or da jin in Putonghua), it was the designer’s first haute couture masterpiece and her most important one. The dress features real gold threads and fine embroidery, and took her team of nearly 500 artisans some 50,000 hours to make. How did Guo rise to the top of Chinese haute couture? In 1986, she graduated from the Beijing Second Light Industry School as one of the country’s earliest students to major in fashion design – just nine years after the national university entrance exam resumed in 1977. Guo grew up during the Cultural Revolution, an era of hardship when any adornment and individualism was strictly prohibited, and she wore only neutral-coloured and plain garments. But she was determined to become one of China’s first fashion designers. After ten years of designing for major Chinese manufacturers, Guo left her stable career path and started Rose Studio in 1997. It was a decision to pursue her artistic freedom – to design and express herself without constraints. In China, Guo became widely recognised for the gowns and costume dresses she designed for the female hosts of the CCTV Spring Festival Gala; the Lunar New Year’s Eve programme is the most-viewed television event in the country. In 2008, she designed an elegant shoulder-baring dress for Zhang Ziyi to wear at the torch lighting ceremony in Athens, in the lead-up to the Beijing Olympics. The experienced couturier didn’t go with the actress’s original plan for a qipao, but made a piece that conveys traditional Chinese elements through a modern silhouette and intricate cutting. In 2016, Guo became the first Chinese designer invited to join the Chambre Syndicale de la Haute Couture, the prestigious French regulatory body, which also allowed Guo to make her debut show that year at Paris Haute Couture Fashion Week. Today, as the designer’s name and fame has outshined her previous Rose Studio label, the haute couturier has finally launched an eponymous brand, together with a new studio in the upscale boutique shopping district on the Rue Saint Honoré in Paris, targeting an international clientele. Blending elements of traditional Chinese culture with a modern presentation, and aesthetics that communicate with both East and West, Guo’s haute couture craftsmanship stands proudly, showcasing her lifelong passion for fashion and her decades of expertise in dressmaking. Manolo Blahnik once said, “You put high heels on – and you change.” In modern times, glamorous sky-high heels may be of little practicality, but dating back to the 10th century, they were essential accessories for men in battle in the Near East. 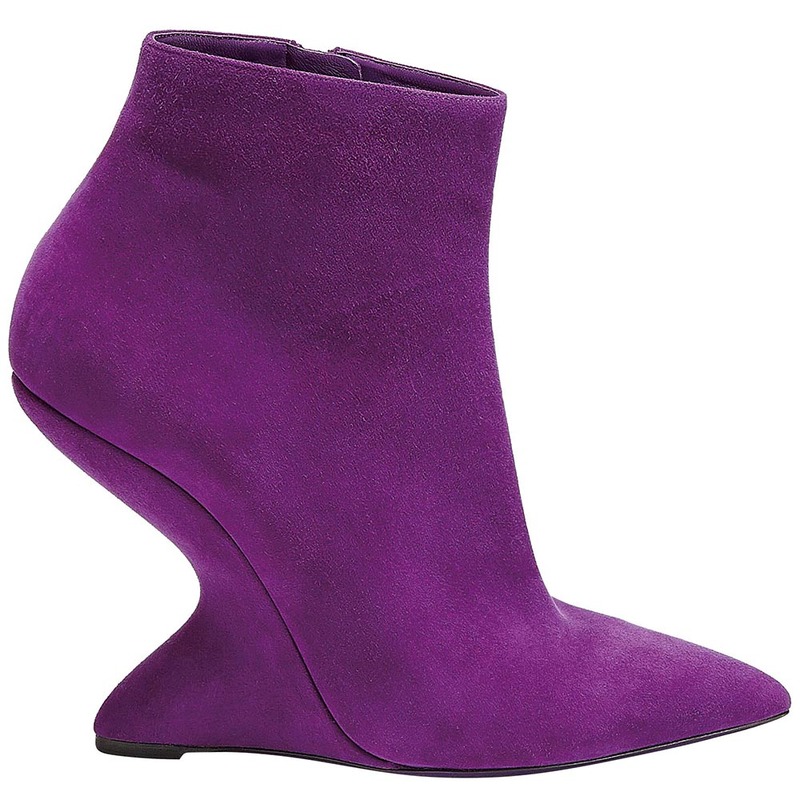 Shoes with heels are widely considered to have originated from the Persian Empire. Cavalry in the region wore heeled boots to stay mounted on their horses; with the heels providing a crucial security measure, the arrow-shooting riders could stand in the stirrups while the horses galloped. Later, these practical riding boots transformed into cowboy boots in the US. In Europe during the Middle Ages, pattens were heeled overshoes that both men and women would slip on before heading out. The heels, which were usually wooden-soled, could elevate the foot above the grime at street level – as sewage systems and water pipes weren’t a feature of medieval towns, it was common to throw garbage and human waste into the streets. In the 15th century, leather pattens became fashionable and in London, a wealth of new styles emerged including multi-layered leather soles, ones with narrow, elongated toes, and shoes that could be worn over hosiery. Similar to pattens, chopines were also platform shoes, but worn exclusively by women. Believed to have been created in 15th-century Turkey, chopines were adopted by the Venetians from the 15th to 18th century, and were popularly worn by courtesans and patricians. These ultra-high heels – which could rise up to some 75cm above the ground – were deemed a representation of prestige and the fragility of woman. But the inconvenience of chopines sparked rumours that they had been invented by men who wanted to prevent their wives from engaging in illicit affairs by making it difficult to walk. Chopines were lavishly embellished, with beautiful decorations such as embroidery, gold lace and leatherwork, forever linking high heels with the feminine aesthetic. 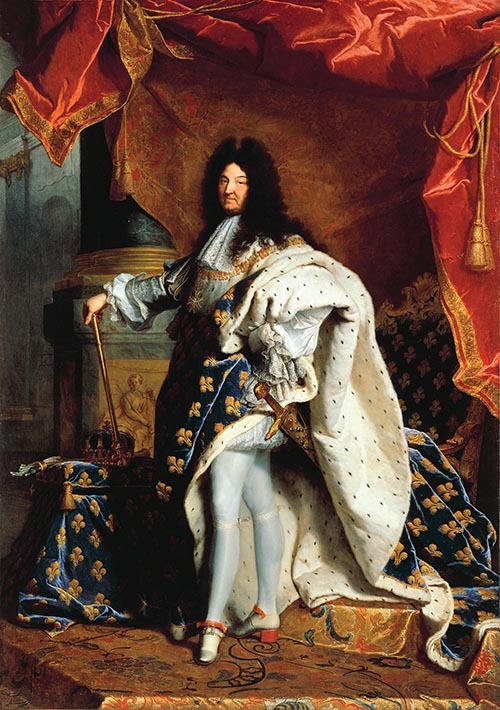 In the most iconic portrait of Louis XIV, created by French painter Hyacinthe Rigaud in 1701, the king of France sported red heels over tights. For the portrait, the famously short man – at 162cm, he often wore wigs to exaggerate his height – purposely posed with one leg stretched out to make his frame look elongated. As photography emerged in the 19th century, high heels made a perfect beauty enhancement in pictures. This reached a fever pitch in the 1940s, when the famed pin-up girls posed in high heels in most of their photographs, drawings and posters. Though these pin-ups were popular during wartime in the men’s barracks, it was after the Second World War ended when stilettos were invented; among those credited with popularising the innovation are Salvatore Ferragamo, Roger Vivier and André Perugia. The thin, long and often ultra-high heels also became an item commonly worshiped in fetish subcultures. 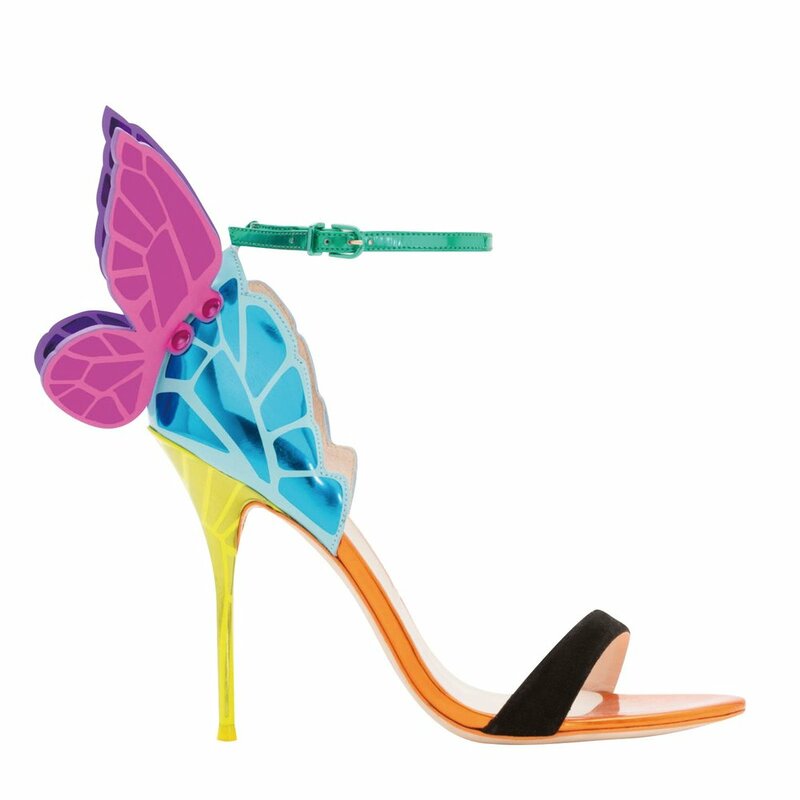 Today, high heels are a glamorous staple of every woman’s wardrobe and, as designers continue to innovate, the future of heels is seemingly unlimited. Pantone Colour Institute has garnered loads of publicity for its annual “colour of the year” announcement every December. For 2018, it’s Ultra Violet, a blue-based purple that’s referred to as mysterious, spiritual and intuitive. All this isn’t just for design, of course; fashion is a focus for Pantone, too. 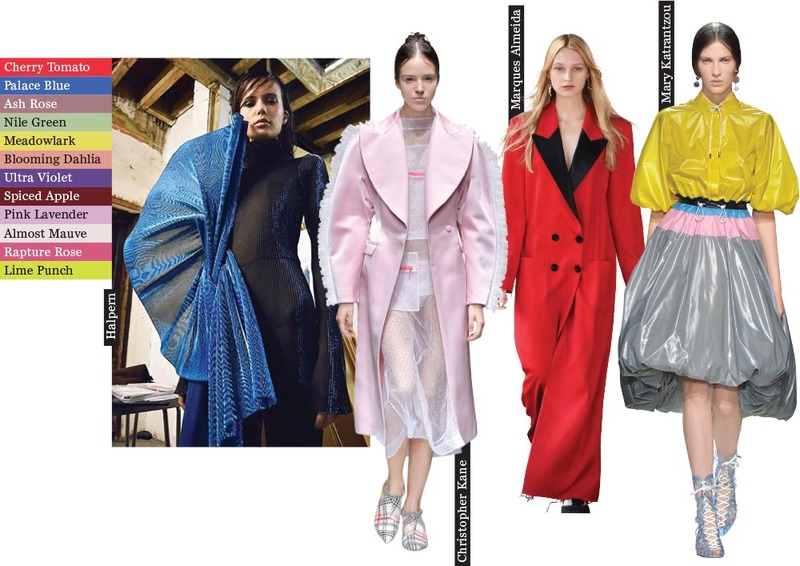 In September, the institute released its fashion colour trend report for spring 2018. Romantic, sentimental and refreshing, the spring palette features 12 hues from London and New York’s Fashion Weeks, with several shared between the two. Also for the first time, four classic colours that transcend seasons have been highlighted. According to Pantone, encouraging self-expression and feelings of optimism and confidence are the key messages it aims to convey with this particular palette. Most of the colour names are fairly self-explanatory, though a few require some detail. The slightly bluish-green Arcadia gets its name from the “unspoiled land” in Greece, situated on the country’s Peloponnese peninsula. Emperador is named for the world’s largest brandy maker, originally from the Philippines. And Almost Mauve, which doesn’t quite look like the pale-purple mauve we’re accustomed to, seems closer to beige or off-white. Two rosy shades and Pink Lavender, which is also a soft violet rose, arouse the tender sentiments and affectionate charms associated with the season. Spiced Apple, which highlights brown with a red undertone, adds a hint of warmth and substance; it corresponds to the chocolate-infused brown Emperador and the earthy brown-based red Chilli Oil in the New York palette. They don’t call them classics for nothing. A great combination of warm and cool, light and deep, the four neutral shades are suitable for men’s and women’s wardrobes all year round. If you’re bored with that cold-toned pure white, plain warm-toned vanilla white, or grey-toned off-white, the rich Coconut Milk offers a nice alternative. Stay true to conventions, opt for a little something different – or find the perfect in-between. 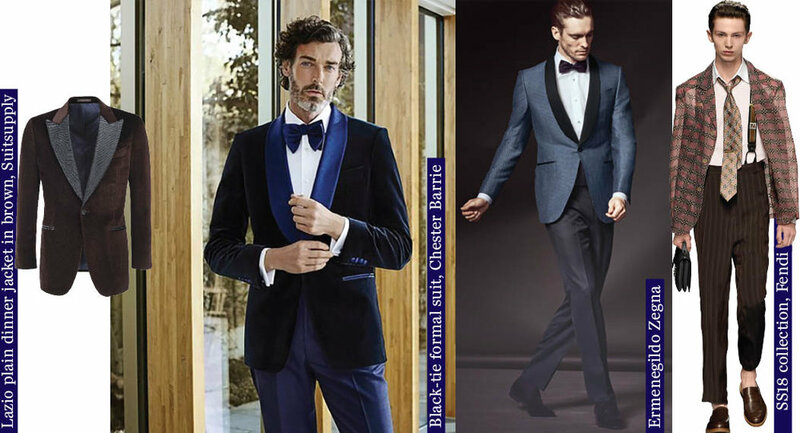 The slim-fit single-breasted jacket in a rich fabric, from cotton velvet to a wool-cashmere blend, ticks all the boxes for a special occasion, from wedding parties to black-tie affairs. If you’re looking for a stylish twist, consider creative material combinations such as leather and canvas. For a more standout statement, an iridescent tuxedo with sequins and embellished details makes for the immaculate rock ’n’ roll gentleman. The traditional suit colour sticks to navy, black or grey, but any hue can be you – just make sure the jacket and trousers are a perfect match. Teal blue, olive green, yellowish orange… the choices are pretty much unlimited. For different shades on the same ensemble, consider elegant neutral tones such as camel and khaki. The layered look could include a shirt or a turtleneck, a blazer, and an overcoat to keep warm. A winning dress helps capture a woman’s grace from day to night. Silhouette options vary widely, such as a sensuously patterned pyjama-style wrap coat, the minimally structured above-the-knee Stella McCartney cocktail dress and the romantically voluminous Zac Posen dress worn by Kate Upton. Metallics, wild motifs, dyed fur and thigh-high boots… the vast array of powerful and stylish elements create a compelling ensemble for the queen of the party. A candy-like palette – from neons to primary colours – lights up the evening until the wee hours. Take the very pleasurable, eye-catching SS18 collection from La Perla as an example, which features see-through and thick textures; the key message is to let the colours do the talking. Elegant Florence-based embroidery brand Loretta Caponi got its start in 1967 when its eponymous founder, who had been honing her embroidery skills since the age of nine, opened her first shop on Borgo Ognissanti, a road named for the baroque-style Ognissanti church. Loretta, who died in 2015 at the age of 91, was a staple of the high-society scene in Florence. As her brand’s renown grew wider, bespoke services began to extend to an overseas clientele, from royal families including the House of Windsor and the House of Orange-Nassau to celebrities such as Jane Fonda, Madonna and George Clooney. Half a century later, the brand is now helmed by the third generation – Guido Caponi, Loretta’s grandson, who returned to the family business after completing a law degree. His mother, Lucia Caponi, is still in charge of design as the brand’s creative director. “You’re going to get a degree, then come back,” Guido recalled his mother saying after he had finished high school and was working in storage in the atelier – and she was right. After 50 years in the bespoke business, the brand finally released a ready-to-wear collection last year – and spring/summer 2018 marched into Hong Kong this October, marking its first stop in Asia, with a collection mixing heritage pieces inspired by the family’s private collection from the Renaissance period with new items including lingerie, robes and houseware linens. All the brand’s products are made in its main atelier in Florence and in three dedicated workshops in Tuscany, and the embroidery work remains entirely handcrafted. The brand’s signature embroidery technique is called catanella, a stitching technique from the 9th century that can blend up to 100 colours in a single garment. If you look at the reverse side of Loretta Caponi’s embroidery, it looks nearly the same as the front, which is what Guido considers the defining feature that differentiates the brand from others. Lucia, on the other hand, tells Guido that the matching of colours is what matters most. Out of thousands of choices, it can take the mother and son a month to decide what threads to use. It appears the brand’s creative spirit is still firmly harnessed by Lucia, who designs everything that comes out of the main atelier. “She never goes out,” jokes Guido. “She needs to be alone to create, just like my grandfather, who had the same ‘problem’.” For Loretta Caponi, it seems creation is a family affair. Though it may feel like we’re just entering the hibernation period, the fashion world never sleeps. Enter the spring 2018 collections from Marni, Simonetta Ravizza, Fendi, Simone Rocha and Giambattista Valli, in which material and colour both play key roles, while contemporary romantic motifs are giving us glimpses of what’s to come. The combination of light and heavy materials is a theme for spring – silk, knit, wool, leather, and especially fur – that served as the luxurious drawing board for Marni, Simonetta Ravizza and Fendi. A modern colour palette prevails, too, from soft rosy touches (such as Giambattista Valli’s pastel pink) to strong, luscious hues that emphasise contrast. And let’s not forget the garden fairies and flowers in the ultimate toast to spring. Floral motifs prevailed, especially at Simone Rocha, where the elegantly quirky silhouettes are inspiring a rethink of romanticism. Cheerful, elegant, sumptuous – if these collections aren’t an indicator of good fortune to come next year, at the very least they’ll make for an especially beautiful spring.